Sister Andrea, Anilse, Sister Beatriz and Sister Mirian in the United Nations Church Center. Today, a delegation of six students and two faculty members from Notre Dame of Maryland University joined our SSND Delegation. Welcome! We will share more about these members of our SSND delegation later. The sessions on this third day of the Commission on the Status of Women (CSW63) continued with dialogue and discussion (general and focused), the sharing of experiences and learnings, in various formats and locations in and around the United Nations. Among the topics was the review theme, women’s empowerment and the link to sustainable development. Our SSND delegates attended various sessions. Sister Eileen attended a session on child marriage which highlighted the prevalence of this practice around the world. Education of girls and their parents is seen as one of the major ways of reducing child marriage. 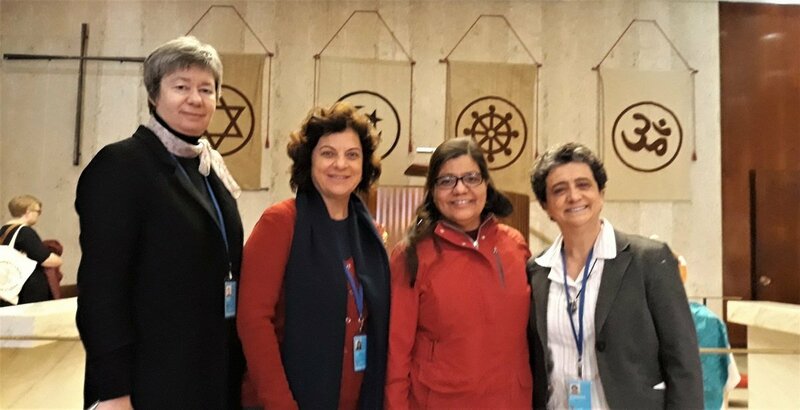 Sister Andrea, Anilse, Sister Beatriz, and Sister Mirian attended the session «women and girl-child empowerment: A key to Sustainable Development» in the United Nations Church Center. 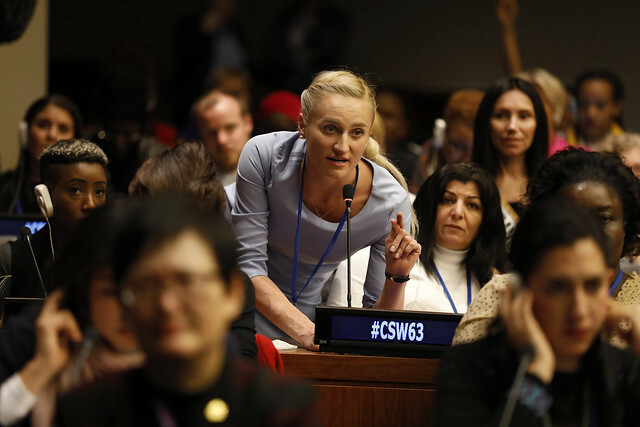 We invite you to also broaden your awareness and understanding of what is going on around the world by taking advantage of the many resources available on the United Nations’ CSW63 website and UN Web TV. The Commission on the Status of Women is one of the largest annual gatherings of global leaders, non-profit organizations, private sector actors, UN partners and activists from around the world, focusing on the status of rights and empowerment of all women and girls, everywhere. Photo album, courtesy of UN Women. Good infrastructure makes a difference.